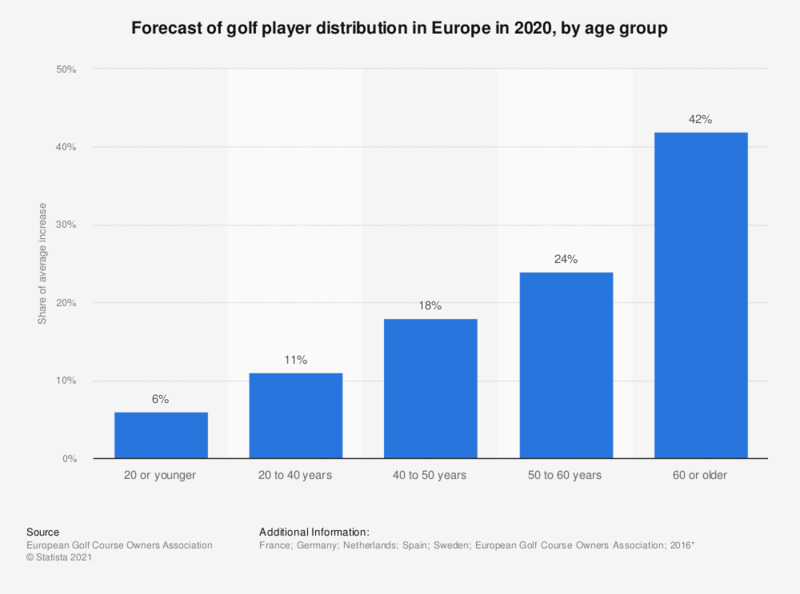 The statistic displays the forecast of a golf player distribution in Europe in 2020, by age group. With data from five European countries it was forecasted that in 2020 approximately 24 percent of golf players will be between 50 and 60 years old. The forecast is based on the growth averages from 2011 to 2013 in France, Germany, Spain, Sweden and the Netherlands.